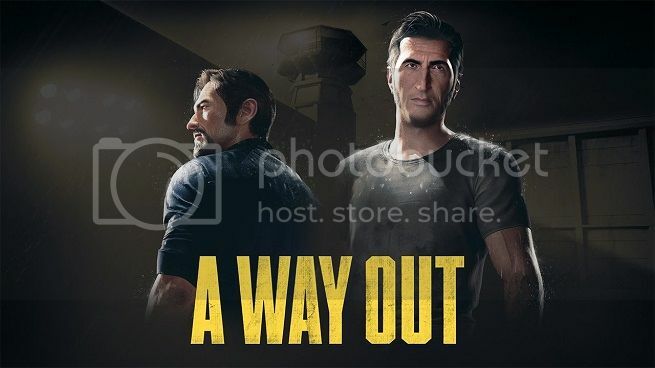 Welcome to the walkthrough for A Way Out. This is an action adventure game which is purely a Co-Op only game and has no single player facility. This can be Co-Op via local play or over the internet. To play this game over the internet only one person has to actually own the game with the other player needing to download a trial game pass to be able to join, however it has to be noted that unless you own the game you cannot obtain achievements and if the trial player or couch guest completes an action it will not unlock achievements for the game owner, so the game owner must complete the achievement action. There is also no matchmaking for this game currently so you will need to play with friends, use the looking for group on the game homepage, or use TA to set up a gaming session. The game will only take you between 6 - 8 hours to complete and has a full chapter selection to allow you to mop up any missing achievements. You can also pick either character if you wish to see the game from the other characters perspective. It is suggested that you play the game without using a walkthrough 1st time through, but if you are here reading this then you will probably just want to get the achievements in the quickest possible way. A Way Out is a mixture of cinematics, Quick Time Events and mainly co-operative work to progress. Communication is key in this game so ensure you are playing with someone you talk to as otherwise you will not get far! That said let's get started.